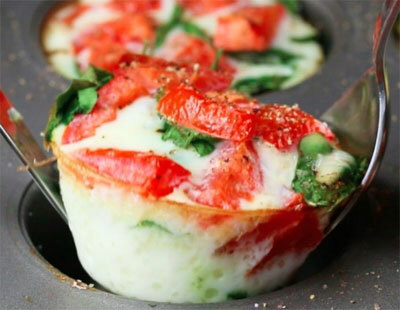 Lightly grease a muffin tin, then divide equally the spinach, tomatoes, and egg whites across 6 cups. Season with salt and pepper. Bake for 15 minutes, or until the whites have set. Also follow this link for a helpful video description.